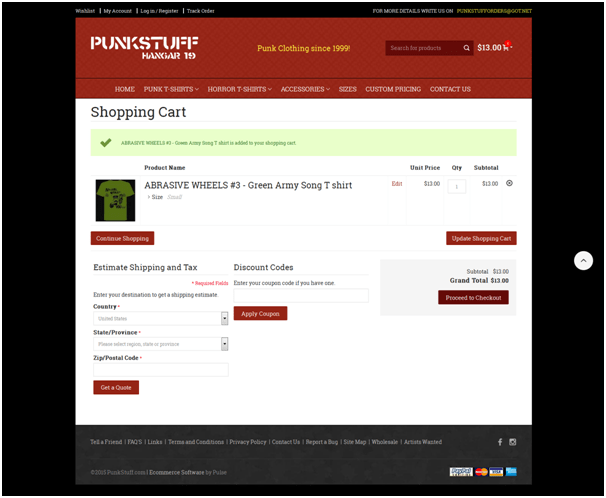 Punkstuff is a popular platform for quality rock culture clothing, punk accessories, and punk magazines. Additionally, Punkstuff gives professional artists, individuals, and major brands the opportunity of selling products globally. With more than 15 years of experience in punk clothing, the company strives to expand their product line, giving the best customer service to their worldwide patrons. 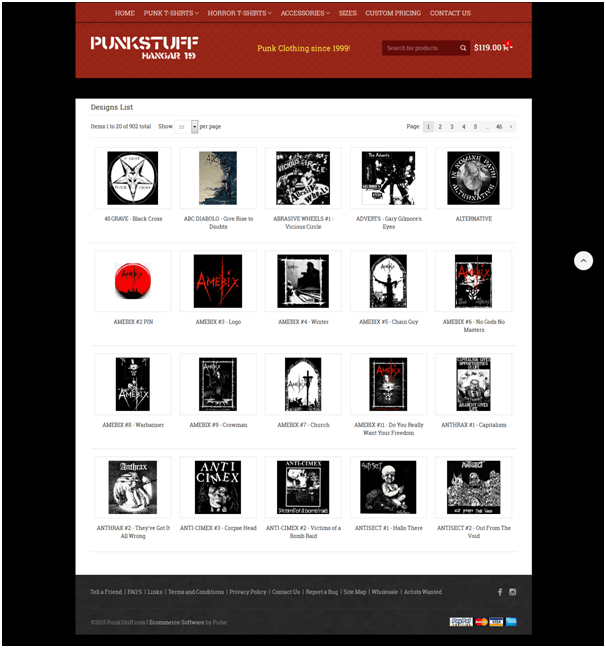 With the rising numbers of patrons, Punkstuff needed to take strategic advantage of the benefits of an e-commerce portal and reach a global audience to increase sales opportunities. There was also a need to streamline the website’s backend processes and system processes for a smoother flow of information. Punkstuff approached Pulse Solutions for new ideas for driving traffic, boosting sales, and designing an online portal that can manage their increasing base of customers. After reviewing Punkstuff’s requirements and brainstorming new ideas, Pulse team proposed to design an ecommerce store using the Magento (ecommerce platform) in PHP to add simplicity to the entire system, while making it user-friendly and attractive for customers. We designed a simple, user-friendly portal, keeping the client’s targeted customers in mind. As a result of seamless management and prompt execution, we accomplished the development of the new online platform within 4 weeks, maintaining the highest quality standards. With rich features aimed to simplify the process for both customers and client, we helped Punkstuff expand their customer base. Products page: The e-commerce site is focused around products that are available for purchase. Crisp design: To help build a strong connection with targeted customers, we designed an attractive layout in sync with the unique style of products that are available. Easy Navigation: We designed a clear, logical navigation to help shoppers find what they are looking for. Timely Reports: We designed a reporting system that provides timely and accurate information on the current inventory status. Easy checkout: We created a simple and effective checkout process involving a minimal amount of steps. This made it as easy as possible for shoppers and lead to less abandoned carts. 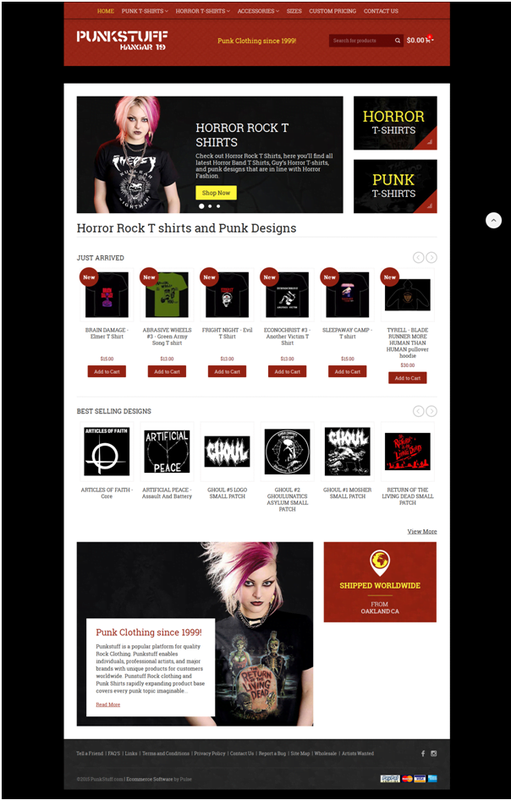 Launching an online portal has allowed Punkstuff to expand their customer base and offer their unique products to potential customers worldwide. 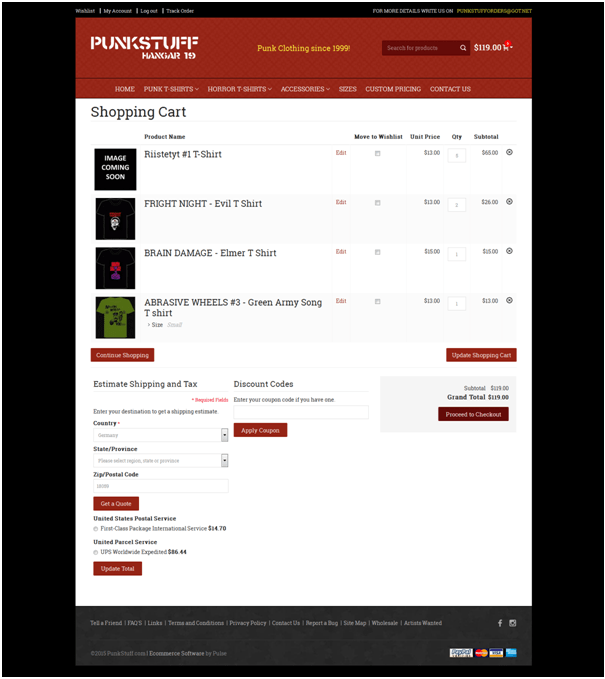 Pulse Solutions has helped to increase the sales and profits for Punkstuff, while providing an easy system to manage day-to-day operations and generate timely reports. 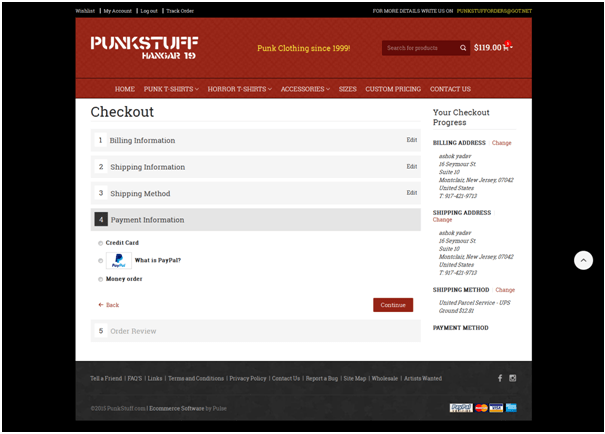 Our new online portal has helped Punkstuff to decrease their costs for finance, marketing, and operating so they can provide better customer services.